I am well aware of the Cyber Initiative based on the Mortal Kombat game seen above. I am also aware that in the series it was taken down by Sub-Zero. But I am not here to discuss the fictitious world of Mortal Kombat, but rather I am using the Lin Kuei's example of the Cyber Initiative as a way of promoting a concept that could be considered realistic. That concept is that of turning a man into a machine. You're wondering why I am discussing the use of humans being turned into machines in popular culture. I am discussing this notion because the possibility of this happening in real life may just happen. Whether or not it is bad is what I am intending to discuss here. There is the concept of mind transference where one transfers their mind into the body of a machine. One such example can be found in the Transformers episode "Autobot Spike." In that episode, Spike is wounded in a battle between the Autobots and the Decepticons. His body is badly wounded and if operated on he could die. Therefore, in order to save him, his mind is transferred into a metal body known as Autobot X. However, after a while, Spike (while in the body of Autobot X) starts to go crazy after seeing Frankenstein being played on TV (talk about a cruel twist of fate). Fortunately, at the end of the episode, the operation on his body was successful and his mind was transferred back in his human body. That is a problem that could happen with mind transference. It's obvious from Spike's reaction to being in a metal body that one would get confused from changing bodies. A problem that cannot be ignored. The other problem would be the bitterness at having one's body being metal rather than flesh. You can't enjoy sight, sound, touch, taste and smell like natural-born human beings. Being alive would not be worth it. Finally, there is the problem of losing one's sanity. Can you imagine being trapped in a body made of steel, wires and circuitry? The loss of one's mind would certainly not be far off. The RoboCop franchise is also another example of human/machine transference. Only instead of an "Autobot Spike" way of doing it, the body of Officer Alex Murphy is converted into a machine (or at least the parts of the body that could be salvaged) into the future of law enforcement. In honor of the RoboCop franchise, I myself have written a similar piece to series. The series takes place in the poverty-stricken city of Detroit that is being ruled by the greedy, power-hungry Omni Consumer products. My story takes place in Chicago (currently) at the beginning of the 22nd century and is recovering from a conflict that has left humanity with less than one billion people. 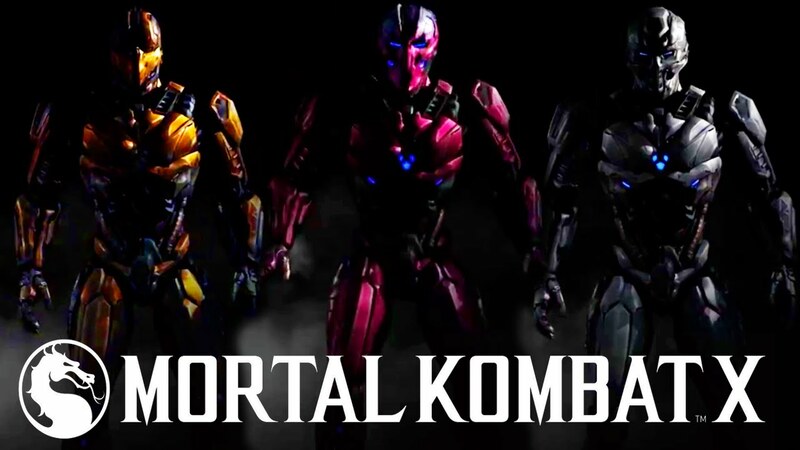 The concept of making one from man to machine should be a choice, not something forced upon like the members of the Lin Kuei went through in the Mortal Kombat series. The reason many of the members were converted to machines was that the clan wanted to suppress any concept of rebellion and demanded obedience. This is why Sub-Zero revolted. Another example of humanity's conversion to the machine is the Star Trek episode "What Are Little Girls Made Of." An old flame of nurse Chapel is found on the planet Exo 3, that was supposedly missing five years earlier. It later reveals that he is an android and that the ruins of the civilization he was researching, had a people who could mechanize themselves. For those of you who have seen this episode, it doesn't end well. I do not oppose the idea on the use of artificial limbs and organs, that is not the argument I am making here. With artificial limbs and organs, it would do more to help humanity. The question would be on affordability and the hopes that it doesn't come to be like that Jude Law movie Repo Men. Losing limbs and organs are unfortunate events that can happen to anyone. You may be losing a piece of humanity, but with mind and body transference to machines, you lose all that makes you human. If one were to do it, it should be more of an alternative to death from a horrible disease at a young age or even a way of beating vicious cancer that cannot be cured. A process like this occurs in A.I. (Artificial Intelligence) when the human version of Haley Joel Osment contracts a vicious disease that is incurable and a machine likeness of him is given to the family. Even though the machine looks like the boy and is not the sick boy himself transferred into the machine, the possibility is an idea. Like "Autobot Spike" the process of separating mind from body to perform a sensitive operation could work. But what if the operation fails and the mind is left in a machine? Difficulties could be seen in this. So, what about cloning a brain-dead body and then uploading the brain from the machine? If someone's body were to die and the mind is left in a machine, would this form of science not be possible? There are many questions to be said of flesh to metal conversion, but the real question is simple. Is it worth giving up one's humanity? Read next: What Happens if AI Doesn’t Live Up to the Hype?